It's been another great season for us and actually it is still very busy and we are delighted to have served all our regular and new customers. If your interested to know what have been the top 10 fireworks see below. This entry was posted in Company News, Products on November 8, 2013 by Maria Ereku. Always store fireworks in its original box in a cool dry area in your home or outhouse. Don't keep the box under the stairs or in a passageway. Pets hate bangs and flashes, keep your pets inside with the curtains closed during your display. Remember it's not just your own fireworks that cause distress, so you may need to have your pets indoors on the nights when other displays are taking place. Always be prepared, follow the spectators’ distance advice on the fireworks packaging (the distance varies from 8m to 25m depending on the firework) and have a full bucket of water handy for emergencies and for used sparklers. If you have the chance to get together with family and friends, try to go to the house with the biggest garden and the safest surroundings. Never place fireworks directly under overhanging trees. Never wear loose clothing when operating fireworks especially long scarves. If your clothing is set alight STOP, DONT RUN, DROP TO THE GROUND AND ROLLOVER TO PUT OUT THE FLAME OUT. You have to be 18 and over to use fireworks; adults should be responsible when igniting fireworks and children should never be allowed to ignite fuses. If a fuse does not ignite don’t go back to it, as it could be live and go off unexpectedly. At the end of your evening douse the 'dud' with lots of water. Do you really need a bonfire? It’s much safer without one, but if you do insist please make sure it is away from the house, trees, hedges, fences and sheds. Never use a flammable liquid like petrol or paraffin to get one going. If lighting your bonfire is difficult, use only domestic fire lighters to help. Check very carefully that there's no animal (or even a young child) hidden inside the bonfire. Don't light it until after all your fireworks have been let off. Keep everyone at a safe distance from the bonfire and don't allow anyone to throw anything onto it. All fireworks have different hazards. Please always read instructions carefully before starting your display. Rockets for instance, should be launched from a rocket launch tube, not from a bottle. No fooling around! Throwing fireworks is so dangerous and illegal. It’s a criminal offence to do so in the street and the maximum penalty is £5000. Fireworks CANNOT be set off after 11.00pm, except on Bonfire Night when this is extended until midnight and New Year’s Eve, Diwali and Chinese New Year until 1.00am. Fireworks and alcohol don’t mix! Please consider drinking after your display is over. Keep children well away from fireworks, and never let a child handle one or light one. Even sparklers can be dangerous if unsupervised. Make sure that children are aware of the dangers. This entry was posted in Company News on October 29, 2013 by Maria Ereku. Legend has it that fireworks were invented in China in the 7th Century. 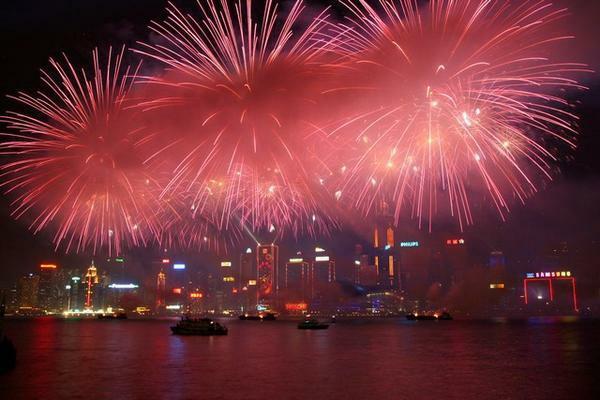 90% of all fireworks originate from China. It is believed Marco Polo was the first person to bring fireworks back from China to the Middle East where European crusaders then brought them to England. The first ever recorded fireworks in England were in 1486 at the wedding of King Henry VII. Fireworks were often used to scare away evil spirits. The hardest colour firework to make is blue. The easiest colour firework to make is orange. A rocket can reach speeds of 150mph..Now that’s fast! The largest rock is 29.53lb and was produced in Portugal and launched on 13 October 2010. The largest firework display of all time took place on 10 November 2012 in Kuwait to celebrate the 50th Anniversary of Kuwait’s constitution. 77,282 fireworks were launched..Wow now that is some display! If you know of any interesting facts about fireworks then please share them with us. This entry was posted in Company News on September 3, 2013 by bondmedia. Who loves fireworks? We definitely do. Ours might be more of an obsession than a love. But hey there is nothing wrong with having a little obsession here and there! So to share our love of fireworks we have created a Google Plus Fireworks Community page all about..you guessed it..fireworks! Our own little community where we can all share our love of fireworks. Come join us today by clicking the link https://plus.google.com/communities/113359160932244768094 and share your videos and images with us and comment and have discussions all about fireworks. We have had some great posts so far so be sure to check out the awesome pictures and videos that have been posted by fellow fireworks lovers from all over the world. Check this amazing video posted by Kurt van Hooff. This entry was posted in Fireworks Community on August 12, 2013 by bondmedia. We all know that the weather in the UK can be a bit temperamental to say the least so if you are thinking of having a party but are not sure whether the weather will hold out or spoil your fun, then fret not! We have a great selection of indoor fireworks and party products to ensure your party celebrations can go ahead with a bang. Whether it be a birthday party, wedding, christening or a celebration ‘just because’, our great range of indoor fireworks are perfect for any celebration. This entry was posted in Indoor Fireworks, Products on August 5, 2013 by Maria Ereku. If you have landed on this blog no doubt you have been searching for fireworks for sale. Well you will be glad to know we have an amazing collection of fireworks ranging from small garden selection boxes right up to the large single ignition displays which you light once and watch a fully choreographed display in the night sky. All available to buy online, with delivery to your door! (UK Mainland only). All orders over £250 will receive free delivery for further information on delivery please click here. This entry was posted in Company News, Fireworks for sale on July 21, 2013 by Maria Ereku. The 2013 Fireworks season is fast approaching and we are getting geared up for an exciting one. We have taken all the customer feedback on board and re-launched our website with the features you all desired which we are sure will make the shopping experience so much more enjoyable. This entry was posted in Company News on July 17, 2013 by Maria Ereku. If you know the basic things about photography for the Pyrotechnics display in the night sky, then now is the time to move one level up. Here are some useful tips and hints that can help you get perfect photographs of stunning fireworks. This entry was posted in General Questions on October 1, 2012 by Maria Ereku. Chinese New Year signifies the first day of the Chinese lunisolar calendar. This is why it is also known as Lunar New Year. It is the most important festival for the Chinese people and on its eve, families organise their annual reunion dinner. There are various customs being followed since its origin. A popular tradition is that the married couples pass red envelopes or red packets to the unmarried and children. The packet contains money and the amount of money in the packets should be even numbers as it is considered lucky. This entry was posted in Uncategorized on October 1, 2012 by Maria Ereku. The festive season can be hard for pets with sensitive ears like dogs. Your dog might be suffering from what is called as a fireworks phobia. There is a way out through which you can help your beloved pet and can make it comfortable especially during the fireworks. Counter Conditioning is the name of the technique where you pick a condition where the dog acts negatively and you condition it till the moment it starts having a pleasant feeling about the stimulus. The most common thing you can use is food because dogs think that food is very special. And if your pet does not respond to food you can try out its favourite toy. Just play around teasing with the food and toys and you will come to know which works better but make sure you don’t provoke any health problems by overfeeding it.